The Phoenix Suns play at the US Airways Center in Phoenix, Arizona. The Phoenix Suns home arena is a great place to watch a NBA basketball game. Look at the Phoenix Suns seating chart to learn more about the seats in the US Airways Center and read more information about the best Phoenix Suns seats. The Phoenix Suns US Airways Center is divided into four different sections: Suns Courtside Seats, Suns Lower Seats, Suns Club Seats, and Suns Upper Seats. The best Phoenix Suns seats depend on how much you want to spend on a Suns ticket. Phoenix Suns tickets are always sold through the US Airways Center box office and Phoenix Suns team website, but the best seats for the most popular games are often sold out. You can find tickets in the best seats for sold out Suns games through ticket websites or secondary market sellers. Visit the links for more information on Phoenix Suns seats and the US Airways Center. The US Airways Center was built in 1992 and most recently renovated in 2003. The US Airways Center was formerly known as the America West Arena until a corporate merger resulted in a name change in 2006. The US Airways Center is the home venue for the Phoenix Suns of the NBA, Phoenix Mercury of the Women’s NBA, and the Arizona Rattlers of the Arena Football League. The US Airways Center also hosts dozens of concerts and special events throughout the year. 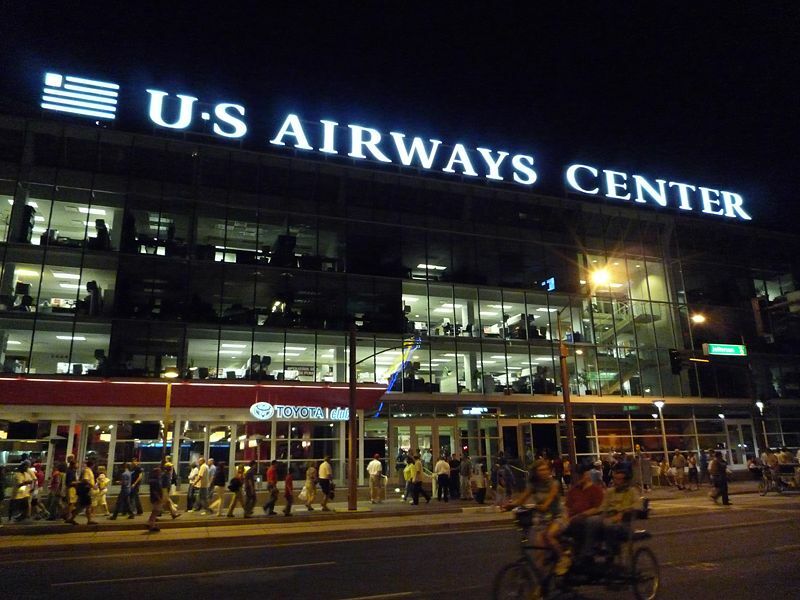 The US Airways Center is located in the heart of downtown Phoenix, Arizona. The official capacity of the US Airways Center is 18,422 for basketball with additional seating available for concerts and other events. The facility is also able to accommodate additional fans in standing room areas throughout the club and suite locations. View the US Airways Center seating chart for further details.